Rip Rap is a term used to describe large sometimes 6”-8” limestone rock. 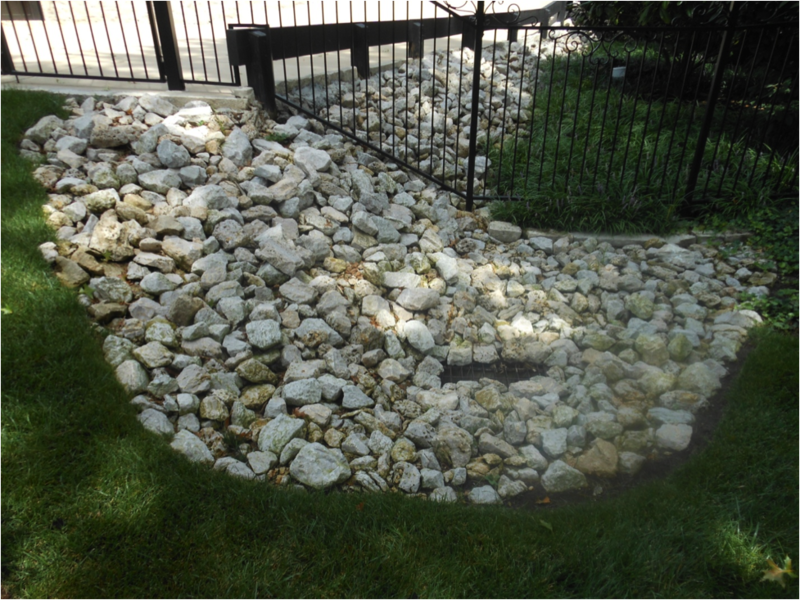 Rip Rap is installed over a synthetic drainage fabric when the erosion is very substantial. 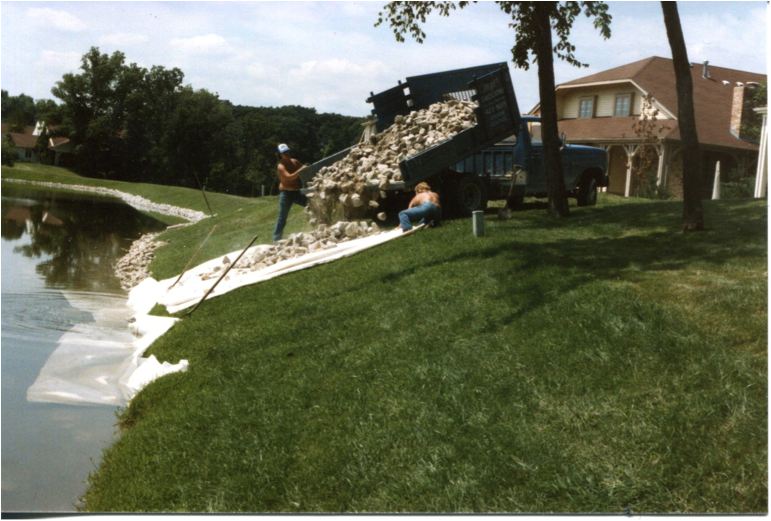 Shoreline Stabilization is performed by properly installing a synthetic drainage fabric and Rip Rap (or a variety of stone can be used) around the shoreline of lakes or ponds to reduce erosion.